Book Review. 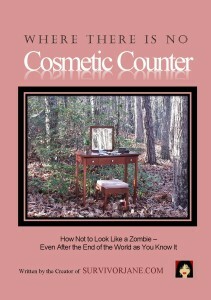 Survivor Jane: Where There is no Cosmetic Counter: How Not to Look Like a Zombie – Even After the End of the World As You Know It. It’s about damn time we had a book from Survivor Jane. For those who do not know her, Jane is the creator of SurvivorJane.com which bills itself as “Survival Preparedness for Women” (but it’s just a downright excellent preparedness site for men too!). She is also the creator of the #PrepperTalk hash-tag on Twitter and Google+. With 11,000 followers on Twitter, Survivor Jane is one of the most popular and most helpful preppers I have met. Whether you are a new prepper or an old crusty “survivalist,” Survivor Jane is someone you need to follow. 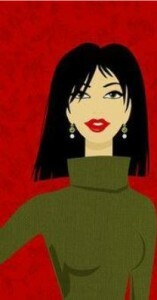 She is in it to help others learn to be more prepared and self reliant. Her new book, Where There is no Cosmetic Counter, is an important book that belongs in your preparedness library. Here is the main thought I was struck by while reading it: Look in your medicine cabinet, bathroom countertop, shelves in your shower – what if all those bottles and tubes were gone? In a long term collapse of the electric grid, there may be no more cosmetics and remedies – and everyday health products – at your local grocery store or pharmacy. What then? This book answers the question. While this book is targeted towards women, there is much in here for any preparedness minded person or family. I am a man and, despite any assertions to the contrary, I’m not stupid. But while reading Survivor Jane’s book, I realized that there are a lot of things that I hadn’t given much – or any thought to. While men may think of preps like food, water and ammo, perhaps it takes a woman to think of things like replacements for commercially produced toothpaste and oral care products. Think of it: If there are no dentists available and suddenly you or someone in your family has a dental issue, it can be a big problem. Survivor Jane’s book is chock full of items that you can make with everyday household ingredients. Things like toothpaste and mouthwash will be critical for preventing dental issues, for example. The book is also full of things I didn’t know, such as “oil pulling” for oral hygiene. This book is not just for use after a long term crisis – there are many replacements in Survivor Jane’s book for the expensive and chemical laden products that we use today. So whether you are looking for alternatives when you can no longer get the products you presently use – or you’re looking to replace products you presently use with more natural alternatives, this book is for you. It is true: Survivor Jane can show you “how not to look like a zombie – even after the end of the world as you know it.” If the every day health and beauty products you are used to are no more, there are natural, easy to make and effective alternatives. This book is a gold mine of ideas and practical solutions – some of which you might want to try now if you are looking for more natural alternatives to your current (expensive) commercial goo. Bottom line: Survivor Jane’s Where There is no Cosmetic Counter belongs in your preparedness library. It’s important for family to prep together. 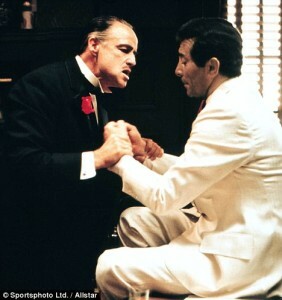 It’s so much easier to work together, than oppose each other. Also, a book review of Michael Mabee’s book. “Secret Garden of Survival” by Rick Austin is a book that fits squarely in the “must have” category for your preparedness library. 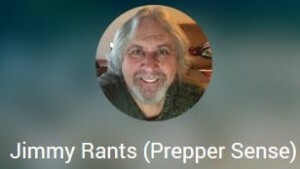 Like many preppers, I have a ton of books in my library. Personally, I prefer having hardcopies of any I think are particularly useful. In a long term grid-down, having a hardcopy library will be essential. 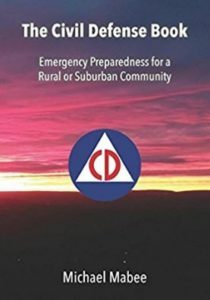 Many preparedness books, while they may be good, can be duplicative. Many essentially rehash the same territory. 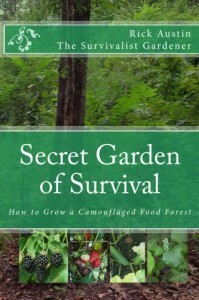 “Secret Garden of Survival” is one of the books I want to have around both before and after a long term disaster. It stands out for me as one of the books that has critical information that you just cant get elsewhere. I like books that either make me rethink my prepping strategies or teach me better ways of doing things. “Secret Garden of Survival” did both. I’m a novice gardener (to put it generously – if gardening was a martial art, I might say I’m barely a “yellow belt”). I have the typical back yard raised gardens and I mostly buy annuals at Home Depot or a local garden store with everybody else. Some years I’m more successful than others, but I have recognized that my food production capability and skills are areas that need much work. 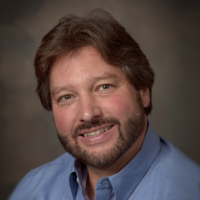 Rick Austin takes you on a detailed tour of how he set up his secret garden of survival. He touches on every aspect, from site selection, construction, grey water systems, permaculture guilds – all the way up to storing and preserving the harvest. This book ties together the entire cycle from concept to canning. This book is both for preppers and those who would like to explore more natural methods of gardening. This book accomplishes what Mr. Austin set out to do: It provides an overview – from start to finish – on concepts that many people are not familiar with. It provides a solution to one of the most important preparedness subjects: food. (In “beans, bullets and bandages” terms, this book covers one third of it.) For many, this book will provide practical and innovative ideas to improve their odds in a survival situation. For many, this book will provide great ideas for having a more natural and productive garden. For many, it will provide both. This book is not intended to be a detailed treatise on every subject and sub-concept involved and it never pretends to be. Its strength is that it gives you a view of the entire food cycle and how to cooperate with nature – rather than trying to outdo her – in order to get better results. The fact that you can do this in a manner not likely to be noticed by others is an important factor for those of us who worry about the security of our food sources from a preparedness perspective. Although the garden Mr. Austin describes and builds is ambitious, he emphasizes that you can start small – with one guild at a time – and improve over time. It does not need to be done all at once. That being said, the book will also enable you to plan your garden so that you start it out right the first time and have the flexibility to expand it in the future. So how has this book changed me? As I look at land for my future homestead, this book has given me a lot of ideas of what to look for. I assure you that when I look at land now, I’ll be thinking about the concepts I learned from Mr. Ausitn’s book and exactly where my secret garden of survival would fit in. I can also start small at my current location to experiment with and benefit from the concepts. I have learned a lot from this book. I highly recommend “Secret Garden of Survival” by Rick Austin. If you are new to prepping or gardening, this book will put you on the right path. If you are experienced in one or both, it might just change the way you look at your food preps. It is well worth the price. If I lost the copy I have now, I would buy another.